للمسافرين الذين يرغبون أن يعيشو كل ما تقدمه روتوروا, Aywon Motel هو الخيار الأمثل. يمكن من هنا للضيوف الاستمتاع بسهولة الوصول إلى كل ما تقدمه هذه المدينة النابضة بالحياة. يضفي محيط الفندق اللطيف وقربه من ‪Whakarewarewa: The Living Maori Village‬, تي واكاريواروا, New Zealand Maori Arts and Crafts Institute سحراً خاصاً على هذا الفندق. إن Aywon Motel حريص على توفير الراحة للنزلاء، فلا يوفر الموظفون جهداً في تقديم أفضل الخدمات وضمان حسن الاستقبال. يمكن للنزلاء الاستمتاع بالميزات التالية: واي فاي مجاني في جميع الغرف, مرافق مخصصة لذوي الاحتياجات الخاصة, واي فاي في المناطق العامة, خدمة صف السيارات, صف السيارات أثناء إقامتهم في هذا المكان الرائع. بالإضافة لهذا,تتضمن كل غرف الضيوف مجموعة واسعة من وسائل الراحة . بعض الغرف توفر حتى تلفزيون بشاشة مسطحة, اتصال لاسلكي بالإنترنت, اتصال لاسلكي بشبكة الإنترنت (مجاني), غرف لغير المدخنين, تدفئة لإرضاء أكثر الضيوف تطلباً. صممت خدمات الاستجمام في الفندق والتي تتضمن سبا لمساعدتك على الاسترخاء والراحة. يحظى فندق Aywon Motel بموقع ممتاز وخدمات يصعب منافستها. Not cheap and facilities are quite old. My family stayed a room with spa. It was clean, tidy and staff was friendly and helpful. Very helpful and friendly staff. Thumbs up. But the Room condition is bad. Room is hot and stuffy. There is a strong smell in the room. The spa pool looks uninviting. The place is a little tired, my shower didn't drain quickly so the water pooled at the bottom and the room has been well used - it could do with a bit of a freshen up e.g. paint. However, it was clean, comfortable and had everything I required. 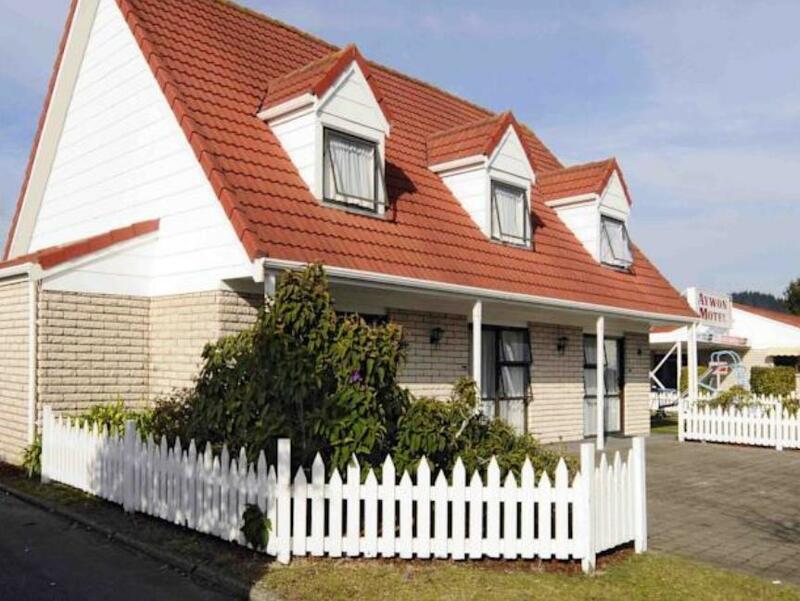 The location is within 10+ minutes walking distance of town and the hosts are very friendly. I would rate this as good/solid rather than fantastic. I will stay again. 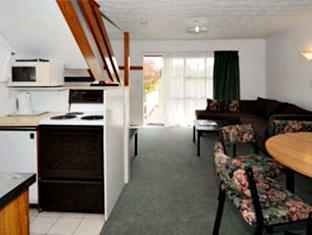 Motel is about 15-20mins walking distance away from Supermarket and eateries. Staff was helpful and friendly whenever we need suggestion on local attraction and dining. The receptionist was very friendly and extremely helpful, pointing out local attractions. The room was large and had good facilities, although is looking it's age. Bed was comfortable. It was really nice to have actual free wifi! The location was good, being on a side road meant much less traffic noise. Space in room. Friendly staff and genuinely free unlimited wifi. Ryan and Bryan greeted us at book in and gave us a really good idea of what we could get to do for the short time we had in Rotarua. Own room was self catering and all that you could possible need in the way of stove, fridge, cutlery and crockery. 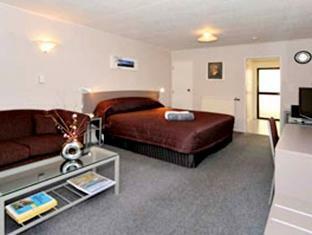 Separate bed room with a sofa bed and table with four chais in main area. Spotlessly clean. Fantastic! We enjoyed the motel as it was very clean, and once the heater was turned on the room was warm and comfortable. The staff were helpful and friendly and it was easy to find. 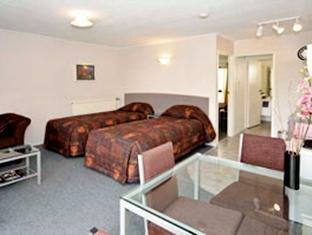 The room was clean, comfortable and manager very helpful. It was nice to be able to have a hot spa in the evening. Deceptively plain from the outside, the rooms were spacious and comfortable with kitchenette and the owners were very friendly. We spent an enjoyable 2 nights at the Aywon Motel having booked 2 studio spa rooms for ourselves and our son and fiancee. It was a perfect location from which to explore the Rotorua area. After leaving it was discovered that we had left a computer cord behind. This was efficiently couriered back to our home - a much appreciated service! Very accommodating owner who allowed us to check out a bit later than normal. Ideal location for a cycling event we had gone to Rotorua for. Quiet location, comfortable and clean room that was well priced. Quiet location near the super-market. I stayed at the Family room. The 02 bedrooms are located on the 2nd floor, but there is a bit inconvenience that no wash room on 2nd floor.